The title has just unveiled on its release date, it will be until November 7 to enjoy it on PC, PlayStation 4 and Xbox One. Enough to buy for this app featuring bikers, members of the gang Steet Rats, immersed in a dark and threatening retro-futuristic universe. The concept is quite original, since focusing on motorcycle gameplay in a level design in 2.5D. Additionally, you will get more details after releasing the title. 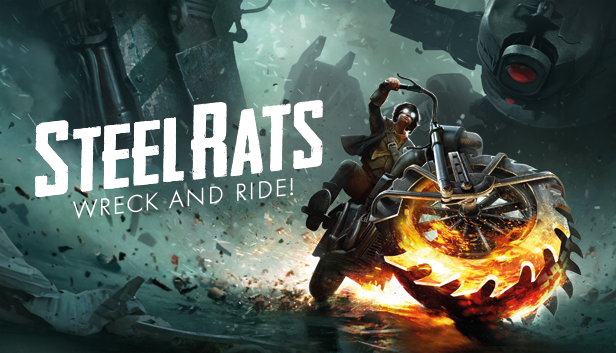 Steel Rats is a 2.5D motorcycle game that is based on the Urban Trial series. 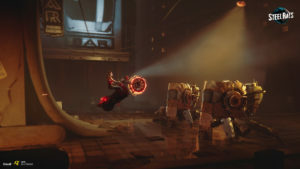 Except that the developers have integrated mechanics of Metroidvania where four bikers will have to make the skin for robots and other drones in a universe dieselpunk and retro-futuristic. So there are more than few weeks to wait, the release of Steel Rats is scheduled for November 7 on PC, PlayStation 4 and Xbox One. It will soon discuss about the final verdict since the studio has just announced on the release date of its precious title. If your choice is publishing digital deluxe, then you will earn a PlayStation theme, five avatars and the soundtrack of the game. It is now confirmed that officially Steel Rats has its final release date and it will be November 7, 2018.